Anyone that knows me knows that I love all things film (except maybe horror… horror films give me nightmares and I do not like nightmares). During college David and I would go to the movies multiple times per week. You read that right. Multiple. Now, I’m lucky if I make it to the movie theatre a handful of times each year – and even when I do, it is to see the latest kids movie. Goodbye midnight showings of Lord of the Rings (on opening night, no less) and hello mid-week viewings of Despicable Me . Anyone with kids knows that a family trip to the movies can cost an exorbitant amount of money (and that’s before the red vines, popcorn, and cherry cokes) so we tend to watch DVDs, movies on demand or Netflix. Netflix has a great, not to mention growing, classic film section. Our oldest was just musing about our need to watch more “grey films.” I wasn’t sure what he meant until he pointed to the television screen that was, at the time, showing an old black and white film. When I told him that those were called black and white films, he replied, “Yeah, and grey because they’re mostly grey.” He had a point. I guess I have more grey films in my future and not just the fifty shades variety. 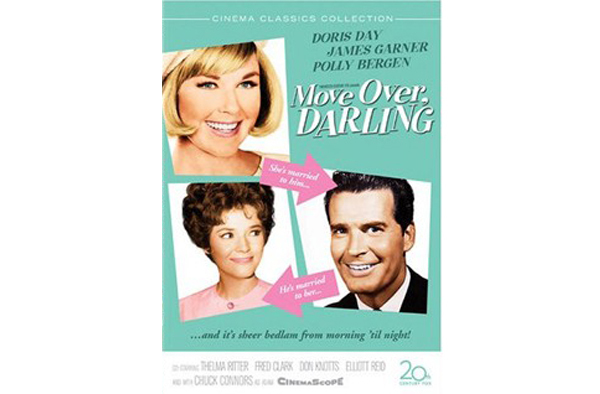 Anyway, a couple of days ago, we sat down and watched Move Over Darling , starring Doris Day and James Garner. It is a remake of the 1940 screwball comedy, My Favorite Wife , starring Cary Grant and Irene Dunne (and Cary Grant’s old roommate Randolph Scott). The basic plot is that after being married for three years and having two small children, Nick and Ellen are torn apart when the couple is in a plane crash. He is rescued; she isn’t. 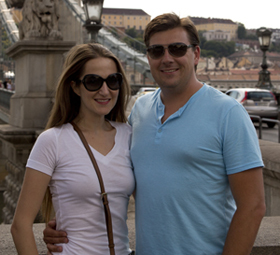 After searching for his wife to no avail, five years after her disappearance, Nick has Ellen declared legally dead so he can marry his girlfriend, Bianca. Much to Nick’s surprise, Ellen, who was ironically recued the same day as the wedding, turns up at the honeymoon hotel on his wedding night. Hilarity ensues. Seriously, this movie was an absolute blast. It has a great supporting cast including Polly Bergen (as Bianca), Thelma Ritter (as Nick’s mother, Grace), Don Knotts (a shoe salesman), John Astin (as an insurance investigator) and The Rifleman himself, Chuck Connors (as Stephen Burkett, aka “Adam”… that’s all I can give you without revealing more of the plot). It was also totally appropriate to watch with the boys because, while there was a bit of innuendo, it was all way over their heads. On a side note, the film was originally supposed to star Marilyn Monroe and Dean Martin, but after being fired for erratic behavior and eventually rehired when Martin refused to work with anyone else, Monroe died before filming could be completed. 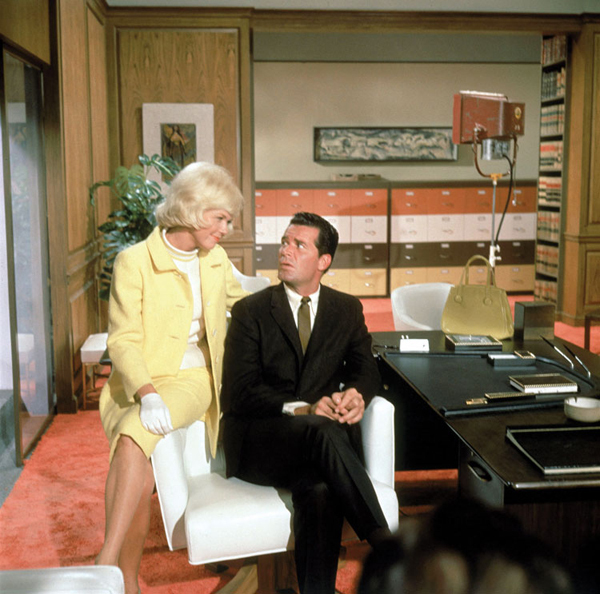 Oh, and from an interior/furniture design standpoint… how cool are those sets?!? The headboards are AMAZING!